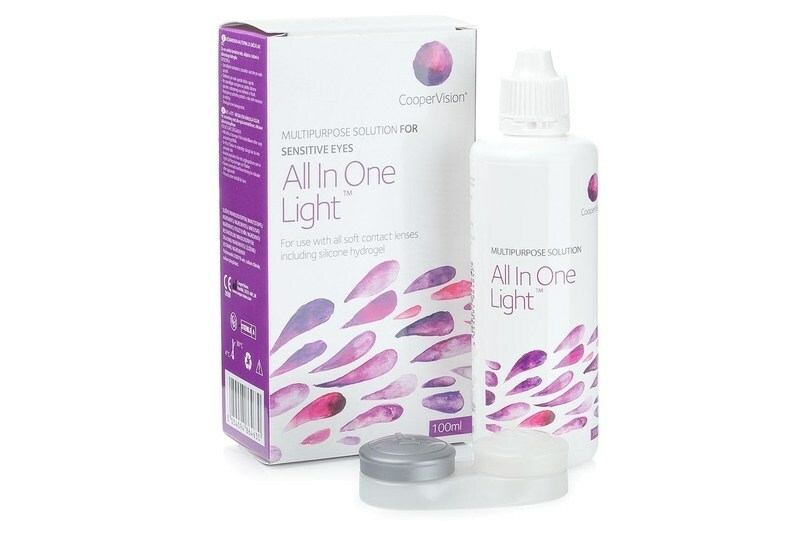 All In One Light is a multipurpose solution by CooperVision designed for the complete care of all types of soft contact lenses. It is particularly recommended for users with sensitive eyes as it doesn’t irritate and doesn’t cause allergic reactions. All In One Light cleans, disinfects, lubricates, rinses, removes proteins and provides safe storage for your lenses. The special formula guarantees lubrication and moisturises throughout the day which allows for high comfort of wear for all contact lens users.